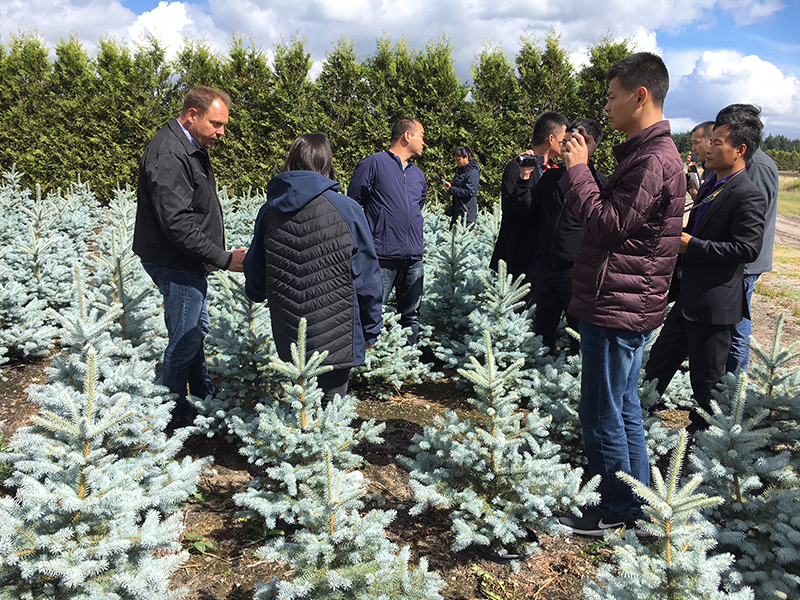 For the fourth year in succession we organized a 2 week business tour for Chinese tree nursery companies. 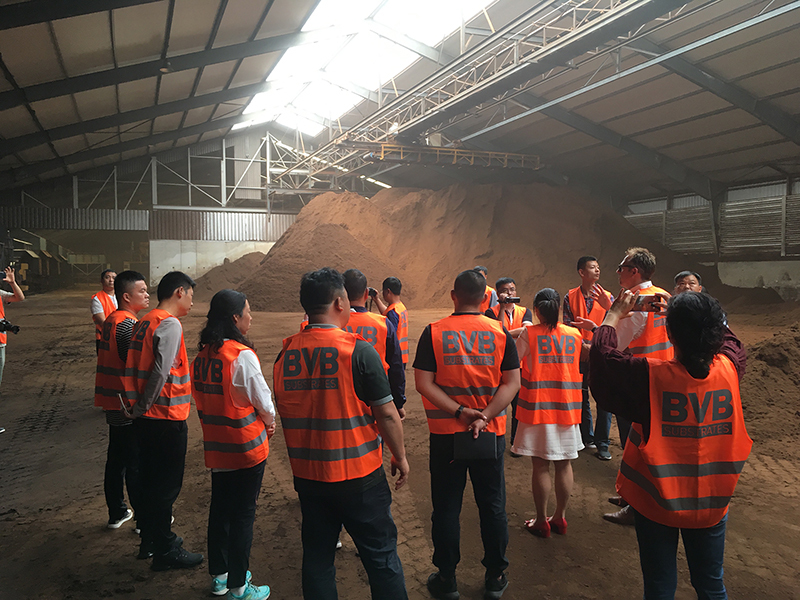 Initiator on the Chinese side is the owner of Handan city Qicaiyuanlin landscape engineering Co. Ltd, Mr. Wang Jianming, who takes the lead in stimulating his colleagues to learn and get inspired from the West-European tree nursery sector. 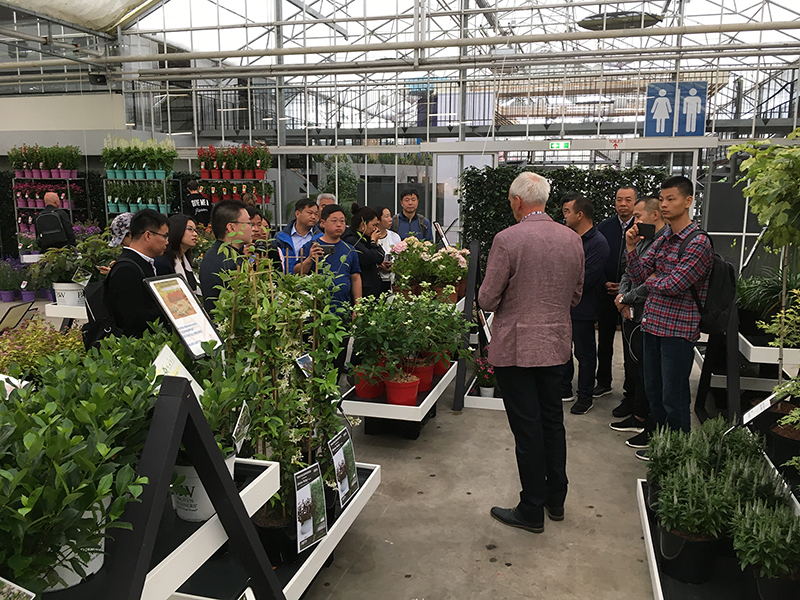 This year the Chinese delegation consisted of 19 tree nursery entrepreneurs from 8 provinces across China (Hebei, Shandong, Shanxi, Henan, Liaoning, Guangdong, Inner Mongolia, Xinjiang). From June 10th to 23rd the tour led them to a range of tree nursery regions in The Netherlands, Germany and Denmark. In The Netherlands the delegation also visited the Greentech Exhibition, the Flower Trials and the Garden Trials & Trade. 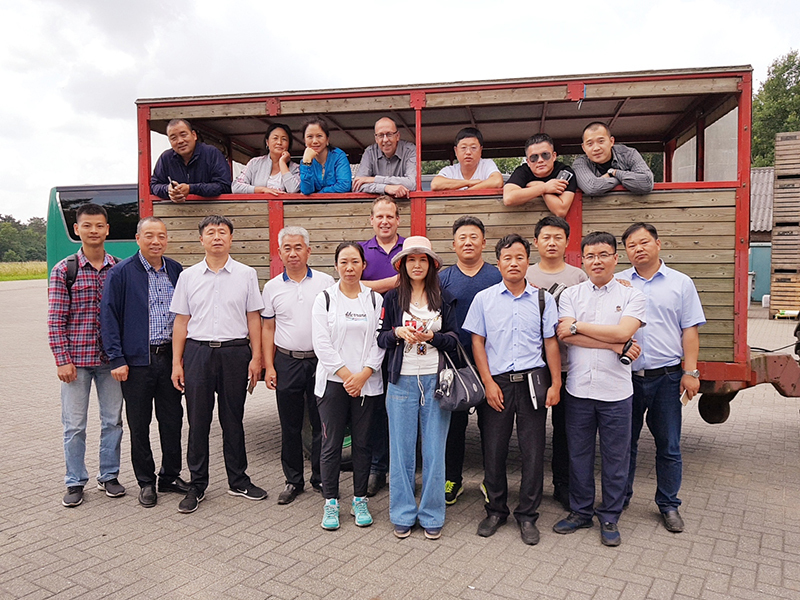 The Chinese delegation was impressed by the developments in technology, the standardisation in tree growing, the cooperation in the tree nursery chain and the knowledge exchange between growers. They were especially impressed by the many family owned tree nurseries with a long history and several generations of owners in the same family. As several members (5) of the delegation had participated in the tours of past years, it was good to see that their interest shifted from pure craftsmanship to questions regarding passion, entrepreneurship, human resource management and personal development. This shows that the Chinese tree nursery sector is going through a rapid phase of professionalization. 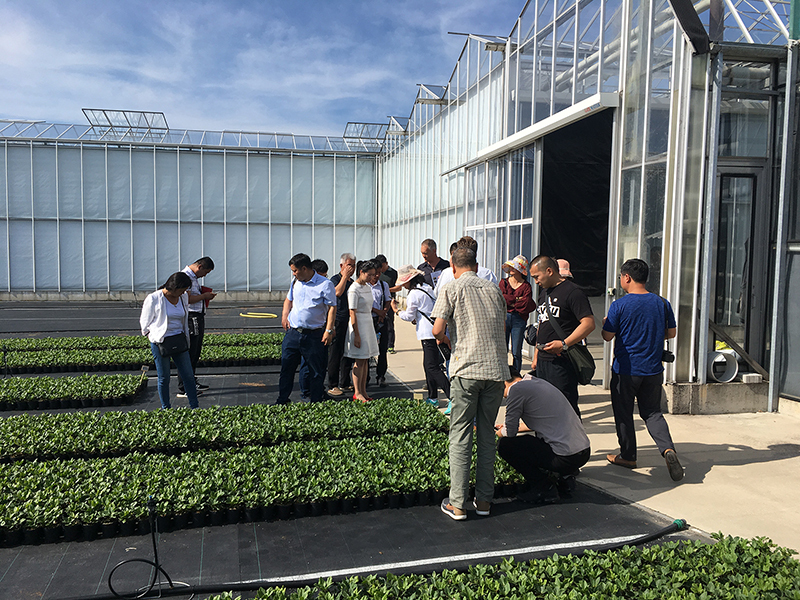 After 3 years of Tree Nursery Tours that were mainly aimed at learning and inspiring, this time the goal also shifted to starting to do business with Dutch companies. This shows that it takes time to build a more structural relationship between the Chinese and Dutch tree nursery sector. HollandDoor has through the past years developed itself into a trusted partner for the members of the 4 Chinese delegations. On this we hope to build in the coming years. We are now also developing a plan to start with a tree nursery training program in China in 2018/19. All this would not be possible without the excellent and informed agricultural interpretation services of Mrs. Han Kun of KunHan Consultancy, with whom we have worked together in the past 4 years.